Have you ever imagined a scenario where you wake up one morning and all the data you have accumulated on your iPad is suddenly not there? This may sound like a nightmare to you but it does happen and believe it or not it can happen to you. But this is why we have backups right? Except that sometimes you can forget to back up your device. And before you ask, yes this does happen too. So what do you do when you forget to back up your iPad and then lose some or all of your data? At first glance it does seem like an impossible situation to fix, yet the very fact that you are looking for a solution can only mean that there must be one. Yes! 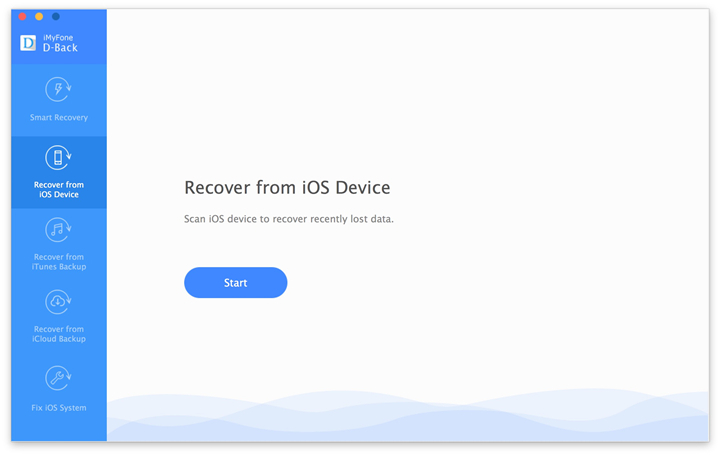 You can perform iPad data recovery without backup even if you don’t have a backup either on iTunes or iCloud and this article is here to show you how you can do that. If you are thinking that you will need a data recovery tool to recover data from your iPad, you are partially right. You however, won’t need just any data recovery tool, you will need a tool that is effective, safe and efficient. That data recovery tool is none other than iMyFone D-Back iPhone data recovery Win or iPhone data recovery Mac. We recommend this tool for the simple reason that it makes data recovery a simple operation, eliminating all the fuss that usually surrounds data recovery programs. The following are just some of the reasons we think you will find iMyFone D-Back a great solution to all your data loss related problems. Aside from being highly effective in data recovery. It is also 100% safe, none of the data on your device will be altered in any way nor will the program damage your device in anyway. It is also very easy to use and quick. 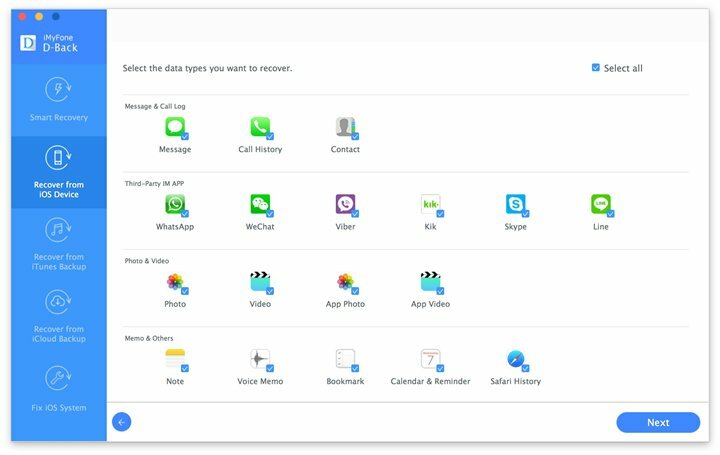 You can recover your missing data in just few minutes and in a few simple steps as we shall see below. It can be used to recover nearly all types of data. 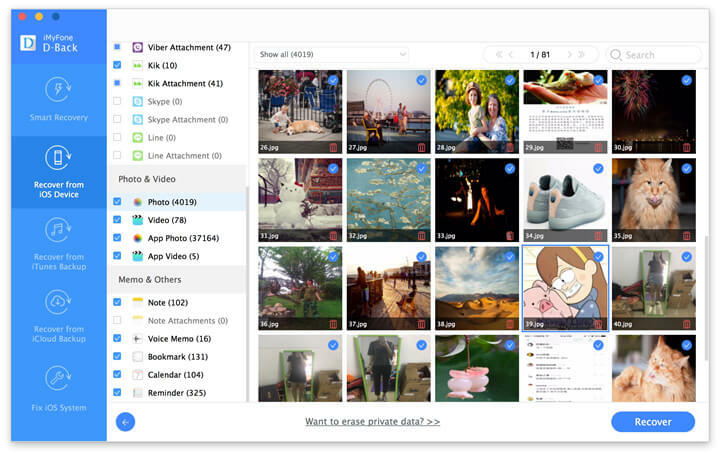 You can recover photos, videos, messages, call logs and many others. Its preview function allows you to see the files you want to recover and hence makes selective data recovery very easy. As long as the data on your iPad has not been overwritten, here’s how to easily recover the missing data. Step 1: Begin by downloading and installing the program to your computer. Launch the program and from the main window, select “Recover from iOS device.” Click “Start” to continue. Step 2: In the next window, select the type of data you want to recover. If you have lost all file types, check “Select All” and then click on “Next” to continue. Step 3: The next step is to connect the iPad to the computer using USB cables. The program should detect the device. Click “Scan” to allow the program to scan the device for the missing data. Step 4: depending on how much data you have on your device; the scanning process may take some time. Once it is done, preview the results and select the data you would like to recover. You can click on the drop down arrow next to “Show all” and select “Show only Deleted Files” to make the process easier. Once you have found the missing data, select the files and click “Recover.” A popup window will appear allowing you to choose a storage location for the recovered files. 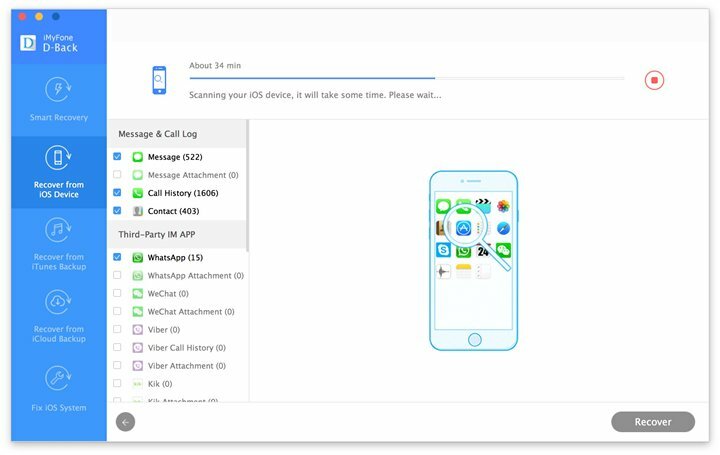 Download the free trial version of iMyFone D-Back iPhone data recovery Win or iPhone data recovery Mac to scan and preview all the recoverable files from your iPad now! We however cannot overstate this fact. It is very important to regularly backup the data on your device to prevent these nightmare scenarios.